This stunning Baltic amber large heart pendant has a surprise in the center. Peer into the stanhope peep hole lens and see a microscopic photo of the image of your choice. It is crystal clear and easy to see, even if you normally have poor eyesight you should see it clearly. If you like stanhopes, you'll love the way the photo looks inside this nicely designed golden orange piece. Amber is popular among all age groups and can be worn with just about anything. 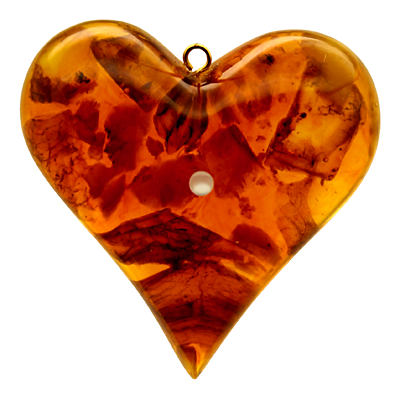 This large amber heart measures slightly under 1 1/2" high and 1 5/8" wide. It has a sterling silver eyelet so that it may be easily put on a chain or necklace. Amber is known to have certain healing qualities and is said to bring happiness to those who carry and wear it. One of our best selling jewelry items. A peep inside the lens reveals a crystal clear and legible image. There are many images to choose from including Jesus, The Holy Family, Ten Commandments, Psalm 23, L'Ascension, The Lord's Prayer in English, Spanish, Hebrew and quite a few others. 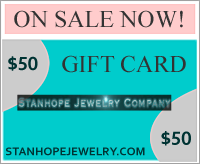 I have used this web site many times for purchases of jewelry. Superior service by professionals. The delivery was exceptionally fast. Every product that was purchased came as advertised. the merchandise from this site is first class.